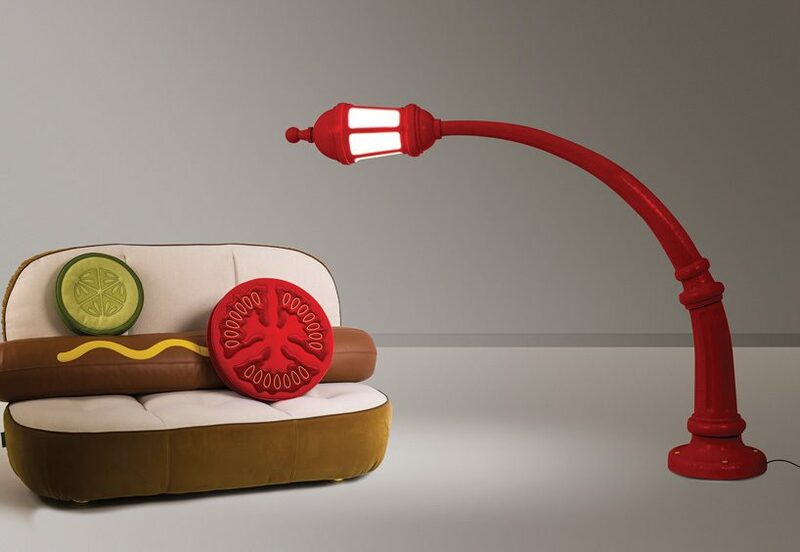 seletti is an italian design brand established in 1964 in mantova. 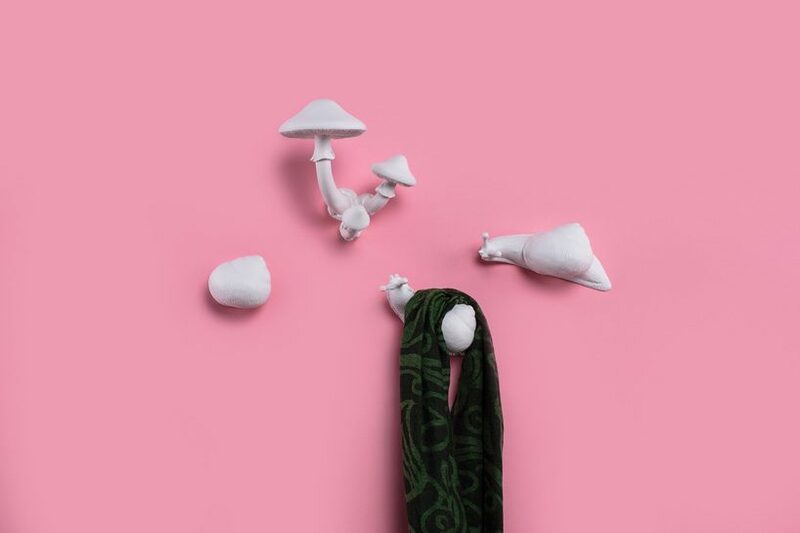 working under the slogan ‘revolution is the only solution’, seletti focuses on design projects and creativity which characterizes italian excellence. 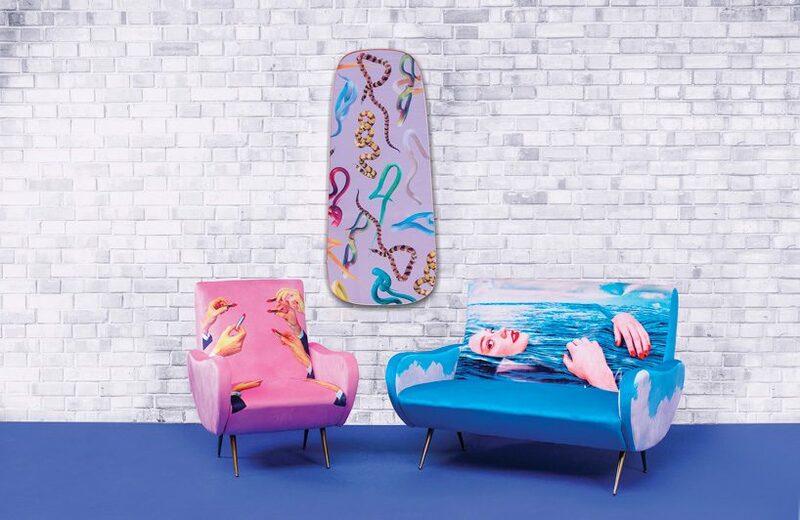 each collection blends art with daily life icons, objects that convey a message of shape and function to embody a unique and fun lifestyle. 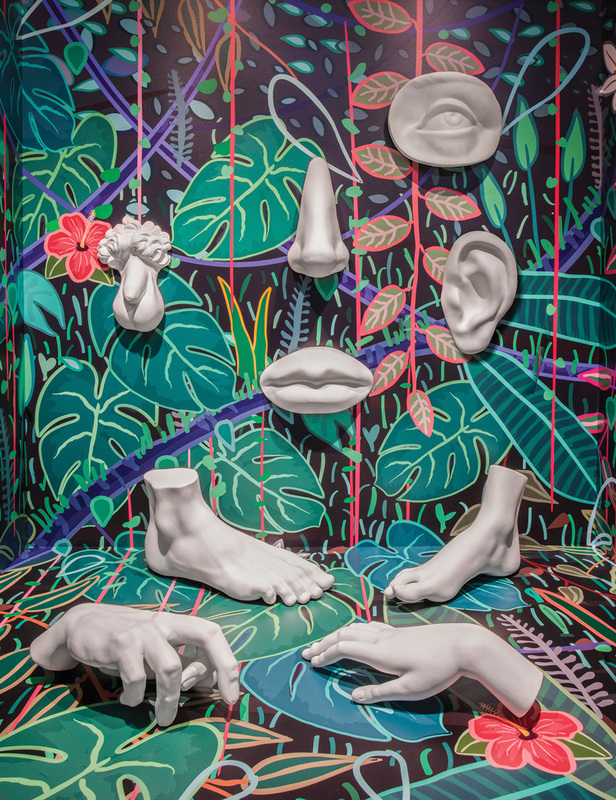 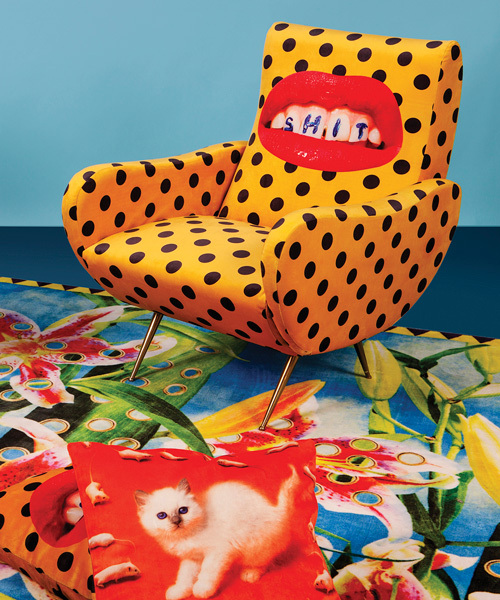 for the second consecutive year, italian pop brand seletti has brought its colorful, tongue-in-cheek collections to the land of minimal design on the occasion of the stockholm light and furniture fair. 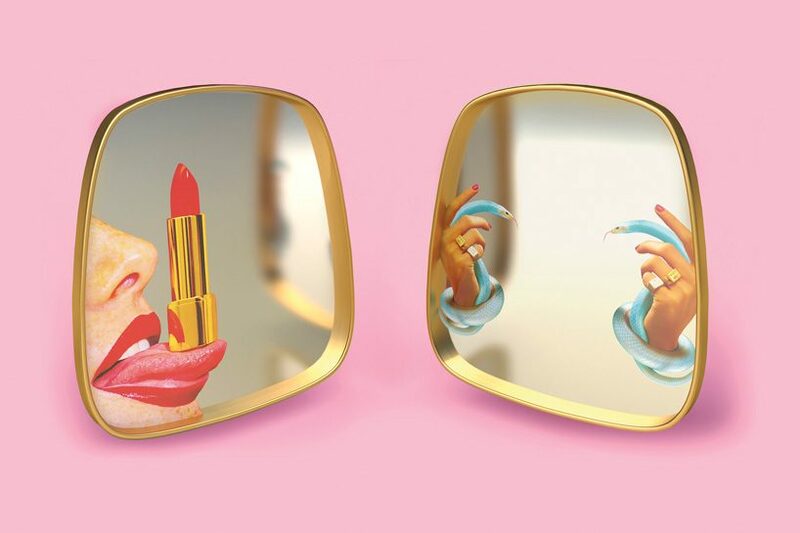 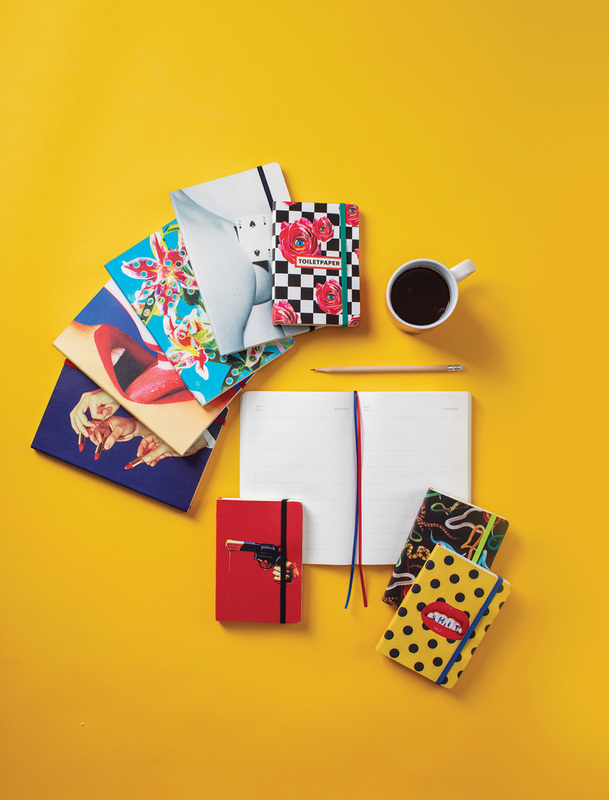 among products created by studio job, and maurizio cattelan and pierpaolo ferrari of TOILETPAPER, the brand presents for the first time its latest collaboration with italian designer marcantonio. 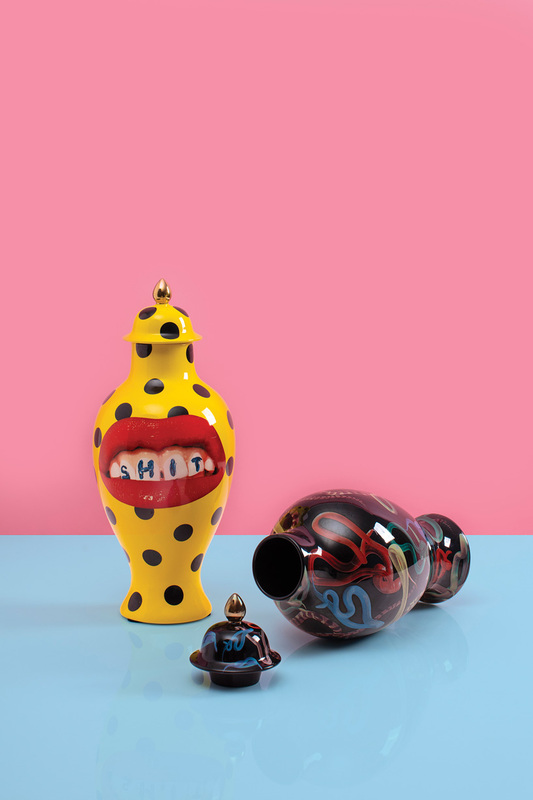 with two exclusive previews. 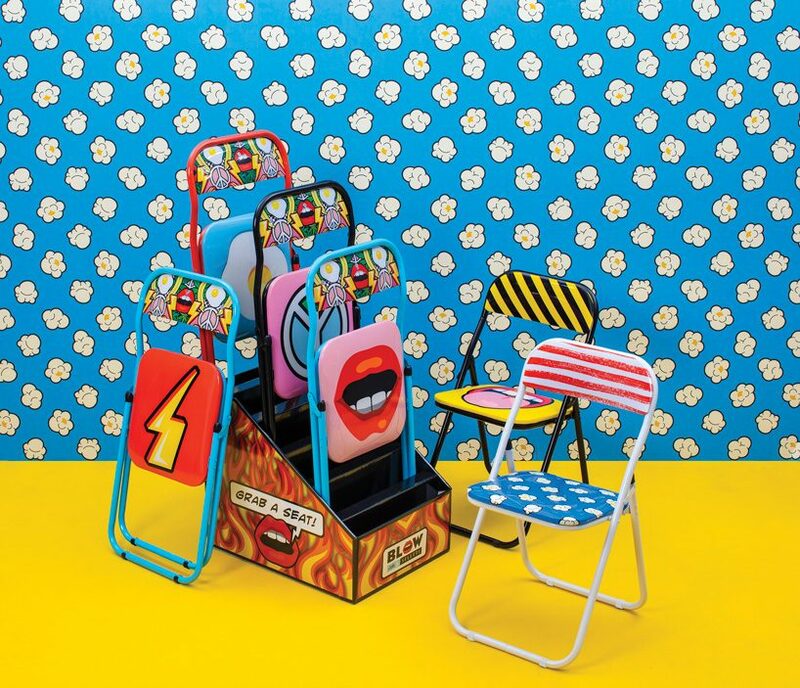 from 5 to 9 february, seletti‘s stand at the fair has brought a dose of humor, irony and fun, filled with many new products from its various collaborations. 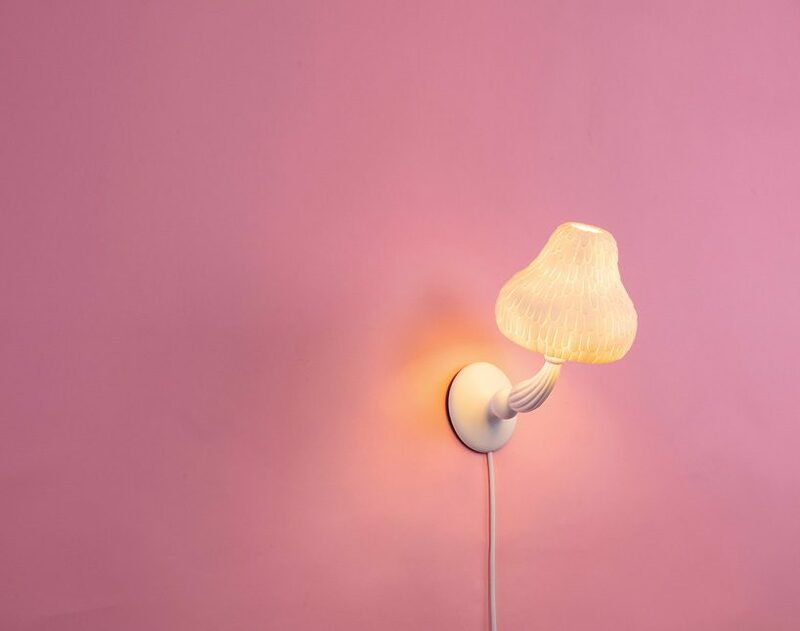 my little evening and candle twin table lamps, both designed by marcantonio, are the two exclusive previews presented in stockholm. 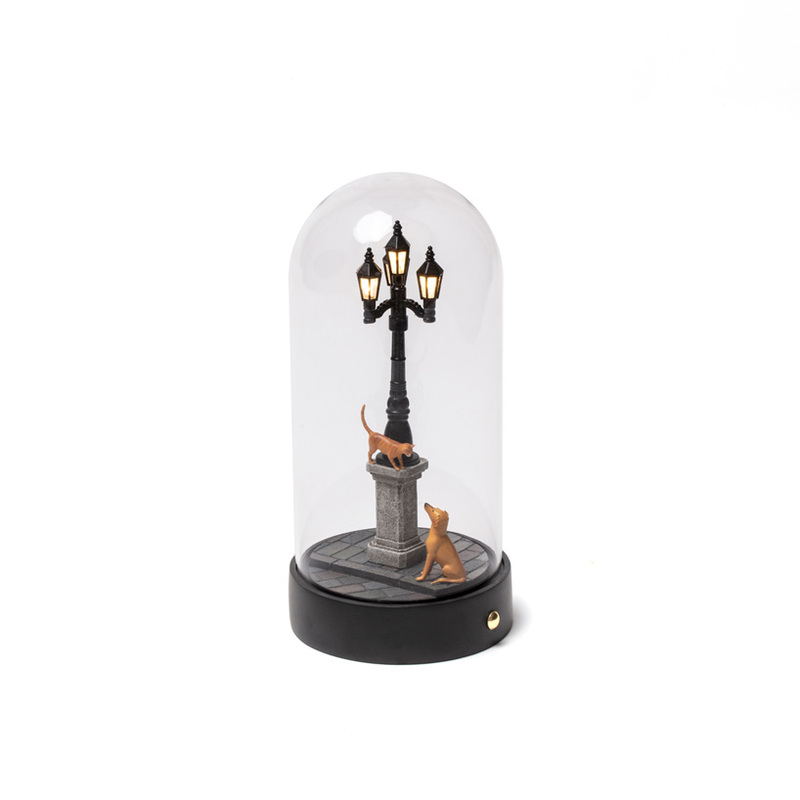 the first is a poetic yet functional table lamp comprising a miniature scene of a ruffled cat observing a dumbfounded dog, taking place on a paved street in an imaginary city. 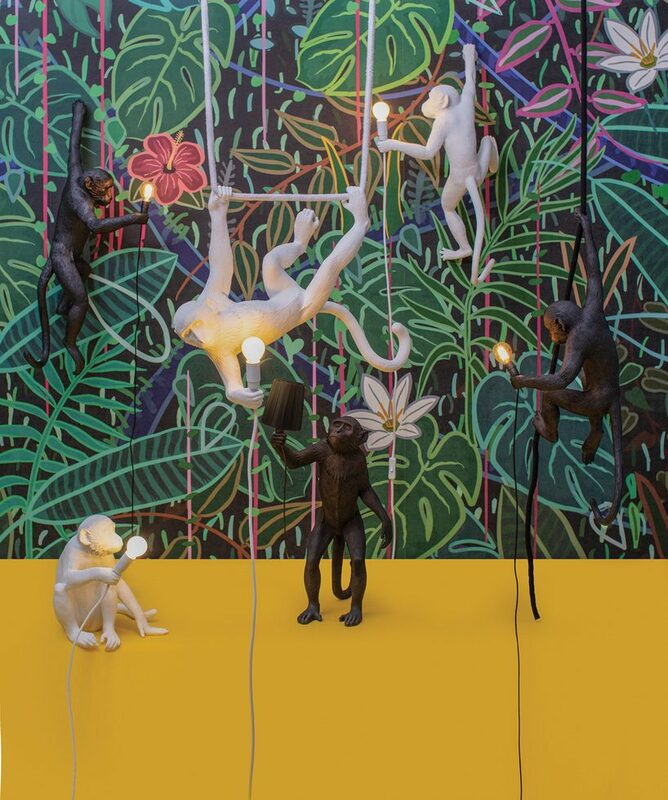 the lamp is made entirely of resin, a material that allows the faithful reproduction of the subjects, thus ensuring the exchange between reality and fantasy that is typical of the work of marcantonio. 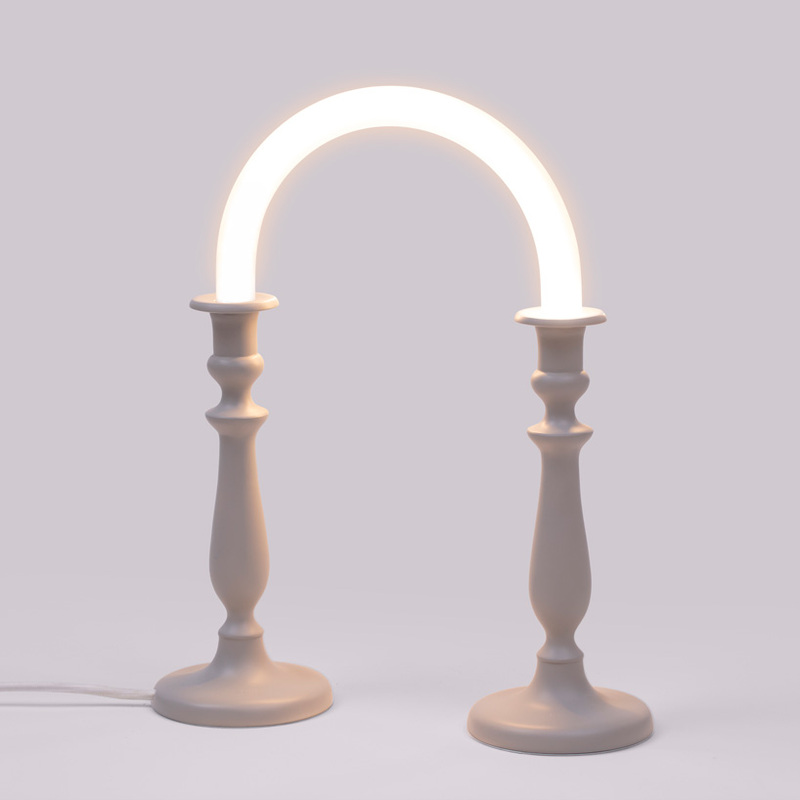 the second new product in collaboration with marcantonio is the candle twin lamp, composed of a monochrome and luminous rainbow which connects two retro-looking candelabras. 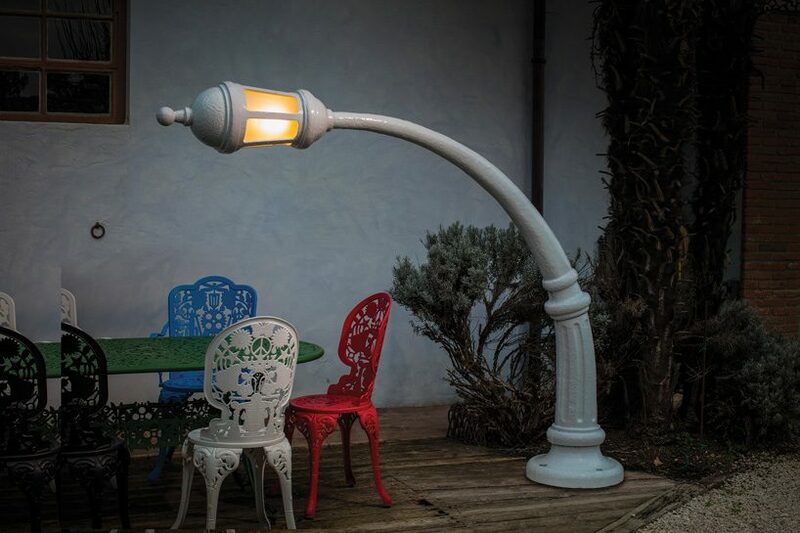 the luminous part is made of a curved led neon light, while the base is equipped with a battery rechargeable via USB. 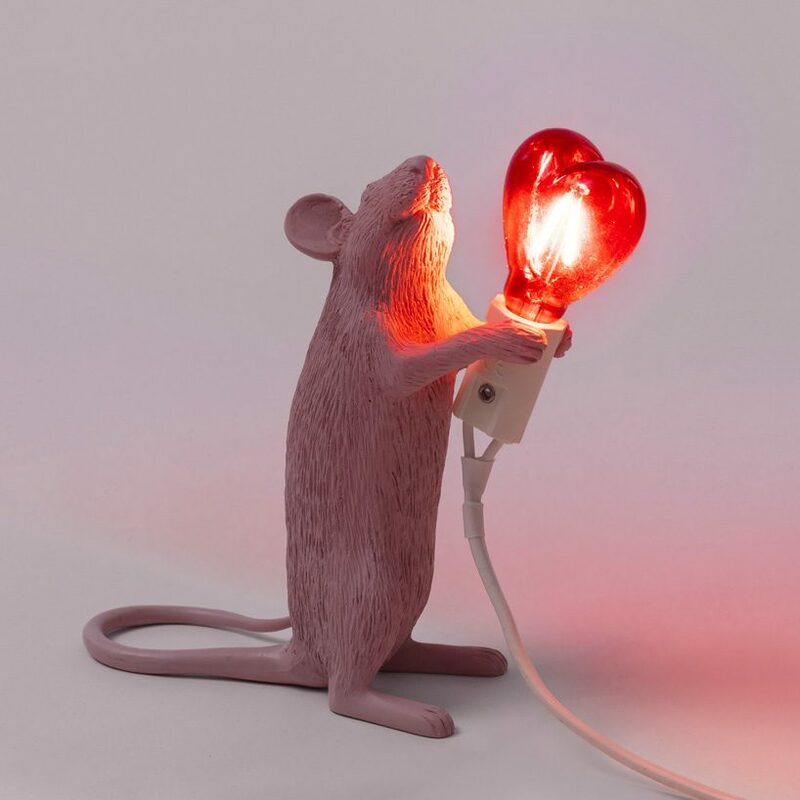 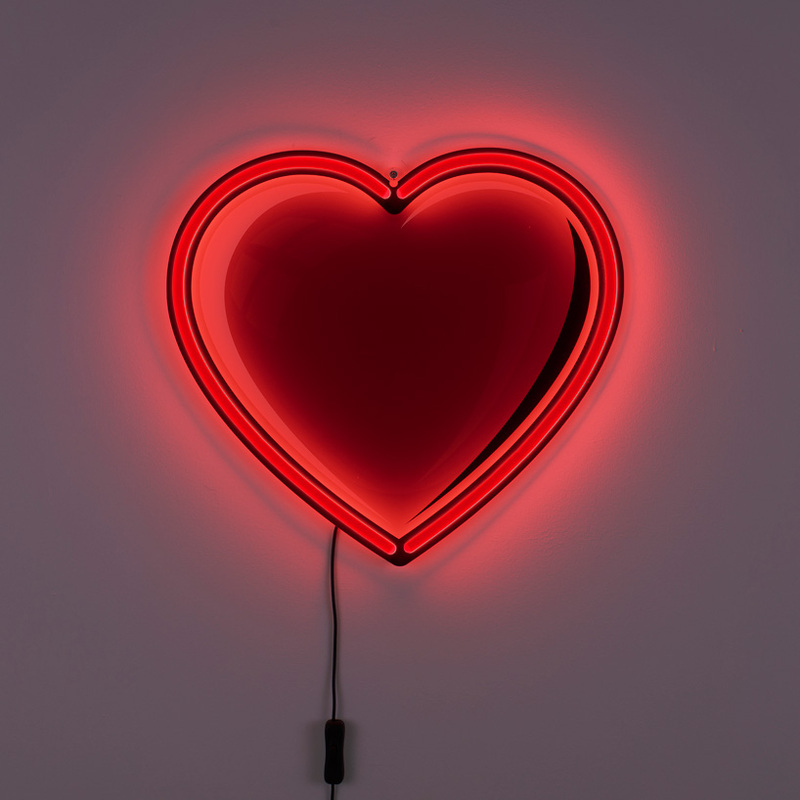 among the new products by studio job, the heart neon lamp is created as part of the blow collection especially for valentine’s day, complimented by marcantonio’s new mouse lamp with a bulb in the shape of a red heart. 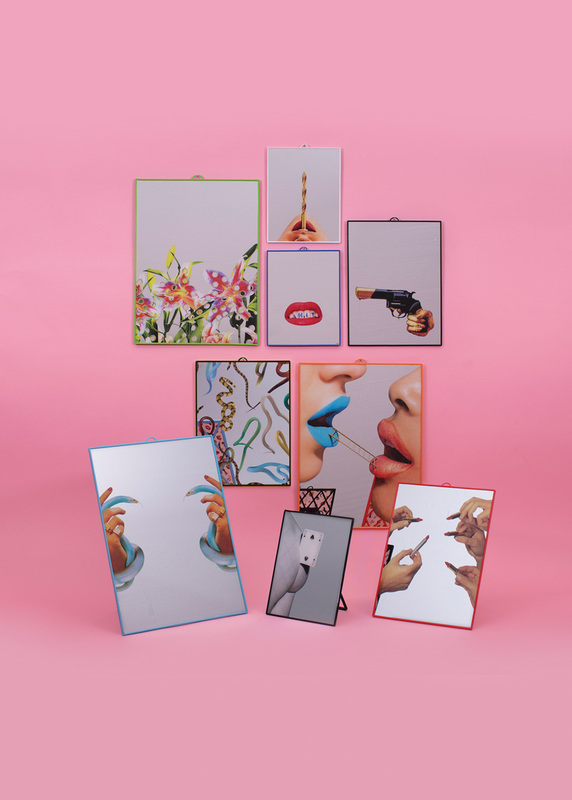 a large part of the stand is dedicated to the seletti wears TOILETPAPER collection, which continues with new mirrors featuring crazy graphics created by maurizio cattelan and pierpaolo ferrari, and a series of notebooks enriched with the visionary images of the cattelan-ferrari signed publishing project.lastly, the collaboration with diesel is enhanced with a new version of the starman vase in gold and the new series of candles with special home scent essential oils expands the seletti for diesel living collection.